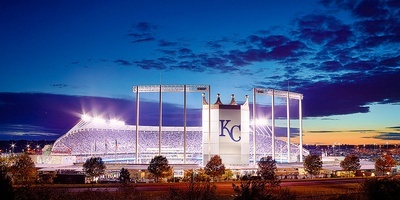 Name: Tech Day at the "K"
Cheer on the Royals as they play the Chicago White Sox on July 18 for the third annual Tech Day at the K! Enjoy the game as you celebrate alongside KC's tech community at a private gathering on the Pepsi Party Porch. Everyone is welcome, and KC Tech Council sponsors/ members receive a special discount on tickets. Price includes your ticket, food and soft drinks. Other refreshments available for purchase. Parking is not included with your ticket. Game Starts at 12:15 p.m.
All registrations are tied to a ticket, and a limited amount of tickets are available. Please plan to attend if you register, and only register for one ticket per person. All sales are final and no refunds will be issued. Tickets can be transferred until three days before the event. Thank you!